Imagine that vacation homes on your smartphone can be swiped left and right at a little cost of $1! If this makes a traveler inside you feeling more excited, then we do have great news for you! A recently launched app, Holiday Swap aims to allow people to swap homes with other people while they are on travel. Those who have already used it have started calling it Tinder. 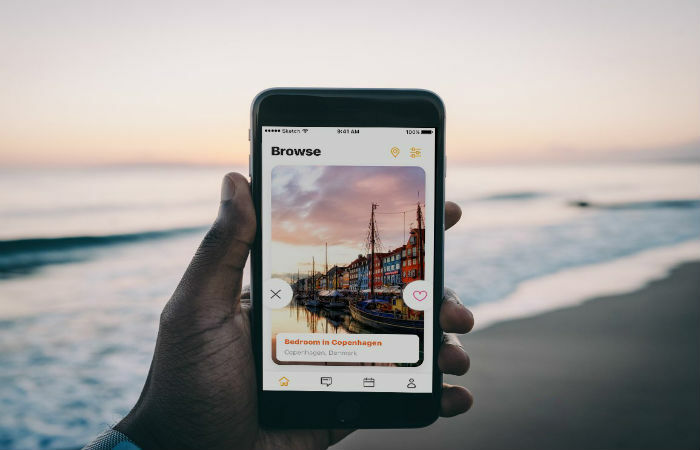 But unlike Tinder, the Holiday Swap works at the global level instead of the local level, which enables you to see properties in more than 40 countries across the 6 continents, which currently this app covers. The app is easy to use, just like Tinder! First of all, filter your app settings for things like ‘good environment’, ‘crowd’, etc. The best part is, you only have to pay only $1 (INR 65) per bed a night to swap through the app. Moreover, the user may request a completely refundable deposit if it makes them more comfortable. This means that while swapping, you can save opposite the user canceling on you or against damage because it is all covered by Home Insurance. You can deposit the fee to a third party account and can refund yourself after the process is complete. There are already great properties available on the app. In addition, the Holiday Swap is now available on both iOS and Android, and many users have already started swapping! Such a thing can definitely become a completely integrated travel tool that reduces the cost of travel. It can also work as a social media travel tool, which gives new experiences by removing one of the biggest costs of travel. This is a great way to connect with people within different corners of the world. Travelers don’t always have to swap. If you match with someone in Toronto, then that means you have a friend there! How cool is that?! Besides swapping, this is actually an excellent tool to travel. It will force people to actually go and experience a new place when they get the property there! This is actually the best way to really open up travel to more people and places. The app was set-up by 29-year-old James Asquith. A London banker by profession, Asquith is the youngest person to travel to every country in the world by the age of 24! Instead of making money, their primary purpose behind app creation was to simply bring people closer and make the world accessible to everyone. Currently, he is planning to come up with more tools and techniques to help get it!